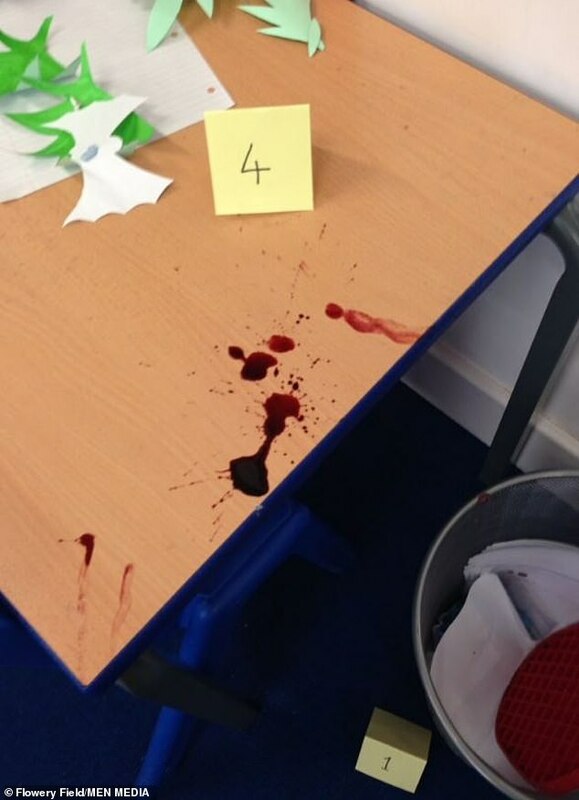 Primary school children were 'traumatised' after a school staged an elf murder as part of a writing exercise. 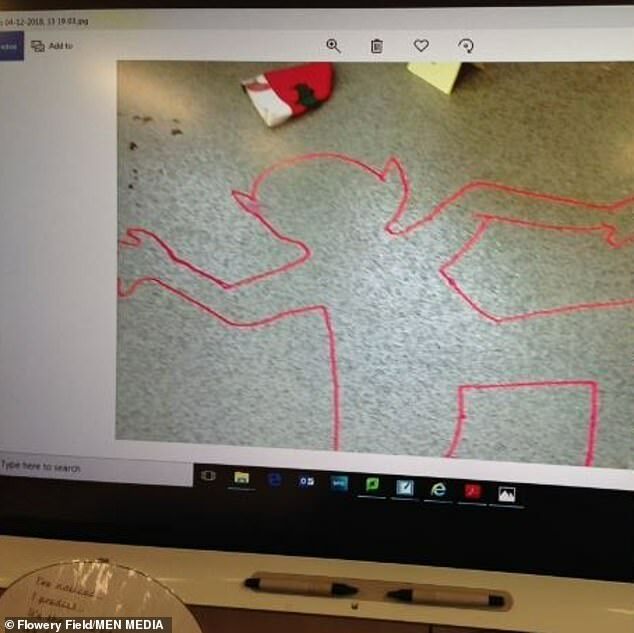 Children as young as eight arrived to find a mocked-up crime scene, which included fake blood and chalked outline of dead body, in a classroom at the Flowery Field Primary School in Hyde yesterday. The headteacher justified the game as she said pupils loved playing detectives in the 'engaging and exciting' writing exercise. Parents were worried after one mother claimed her daughter suffered nightmares as a result of the 'extreme' project. 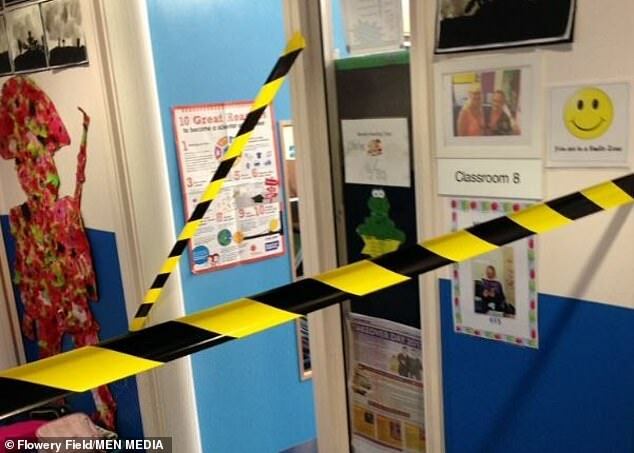 The mother, who asked not to be named, said: 'There was a crime scene in one of the classrooms. 'The idea was Elf had been murdered by another Elf. My daughter came home and she was absolutely traumatised. 'I'm not the only parent who felt like that. A lot of the kids in Year 4 were unsettled by it. 'I am very open with my children and I understand you can't protect them from everything. Ian Fell, headteacher of Flowery Field, said: 'The children were all excited and they really did buy into it. 'One of the children said to me "I am definitely being a detective when I grow up." 'Of all of the 90 children who took part, none of them showed anything but full engagement. 'I am delighted also that the topic appealed to children with SEND difficulties or those who find accessing work more difficult too. 'I have been a teacher for 30 years and this is, in my judgement, an appropriate, engaging and exciting thing that children aged eight and nine have done. They have been so up for it. Settle down Mr. Fu police. The Website confesses it was a false flag. no elves were hurt.